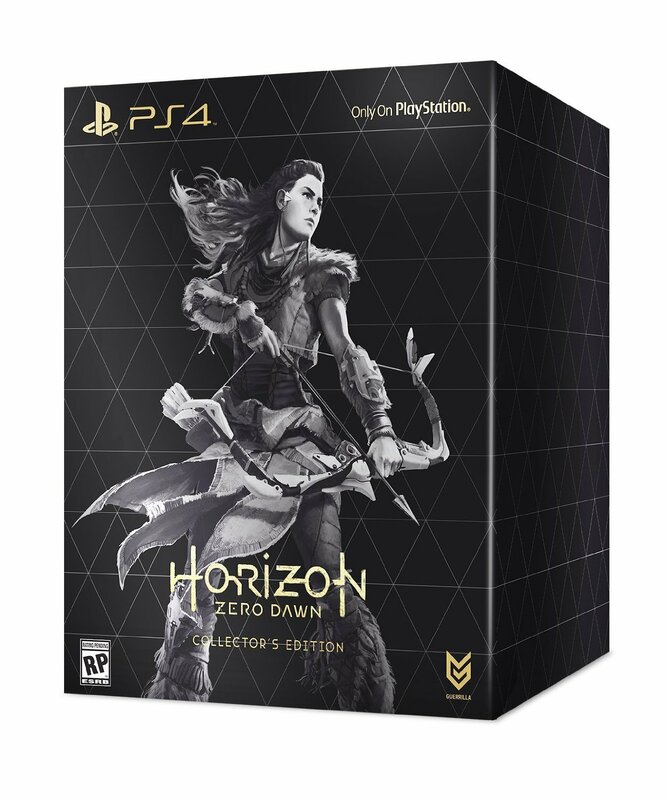 Horizon: Zero Dawn‘s Collector’s Edition has popped up on Amazon and will cost $120. 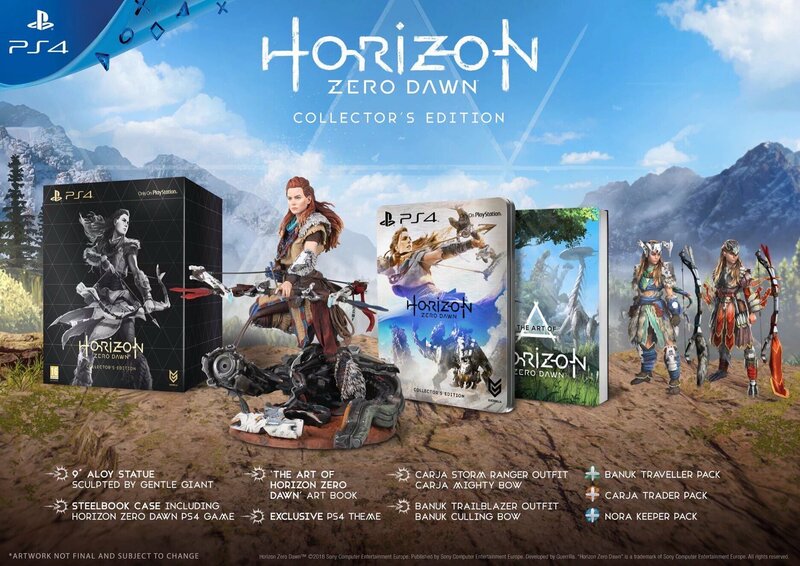 Inside the box, there are three main things: a nine inch statue of Aloy, a forty page art book full of concept art for the game and of course the game itself in a Steelbook case. 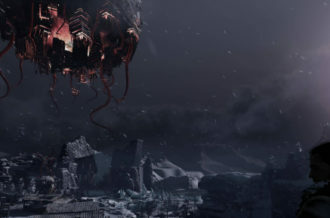 When it comes to virtual content, collectors will get an exclusive PS4 Dynamic Theme, two outfits for Aloy and an assortment of packs, whatever those are.